AMAZON AFFILIATE PROGRAM BeautyofSelah is a participant in the Amazon Services LLC Associates Program along with other affiliate advertising programs designed to provide a means for sites to earn advertising fees by putting links to companies in my blog posts. As you prepare for the new year, how are you planning it so that it is the best year for your blog? It’s no surprise that we need tools and courses to propel our success. 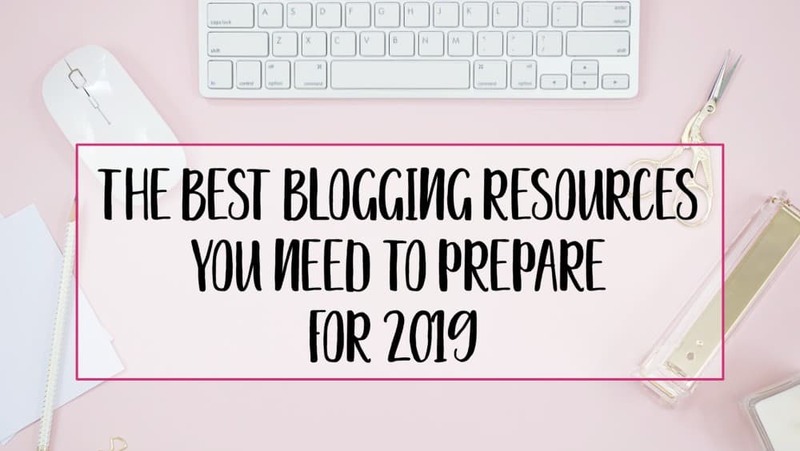 I’ve compiled a list of the very best blogging resources to get you ready for 2019. This blogging resource is just something you cannot skip. And for the price EVERY BLOGGER NEEDS IT. I have no clue how Meera Kothand is selling this for so cheap. It should be a $200 course. I read this book and planned out my entire next year. Sidenote- if you haven’t heard of Meera Kothand, she is one of the best people to learn email from. Any and all of her resources are incredible. While you’re at it, her editorial calendar should also be added to your cart. It meshes perfectly with One Hour Content Plan to get your planning done quick and efficient. This editorial calendar is ah-mazing. She breaks down content planning into quarters and then down to months. Her resources also come with bonuses to get the most out of all her products. Want to know the changes that you need to make now to get ready for the new year? This book is FULL of tips you can implement right away to make huge differences in so many areas of your blog. Jennifer’s resources are incredible and she has never let me down. There’s a reason why people flock to her products as soon as she releases them. They’re amazing. Grab What Works Now 2019 here now. Oh Pinterest, if only we could unlock the door to one of our biggest traffic potentials. Well, guess what? Carly Campbell has. And I’m not just saying that- she has proved it to me time and time again by following her strategy. Forget spreadsheets, frustration and pin stress and grab Manual Pinning Organization in Trello here. Ever wonder what it would feel like if you could have access to every course you need for all aspects of your blog? And then, when you get stuck, you have a question and you need an answer from an expert, you could have access to them at your fingertips? It’s not a course. It’s like a platform of awesome. It’s for people who need a starting a blog course all the way to scaling your business. The owner, Scrivs, owns several blogs and knows exactly what you need to do and how you need to do it. He builds and creates blogs implementing the strategies he tells us to use, just to prove to us that they work. It’s incredible. Join Dare to Conquer here. Need to Organize your resources? Coming soon: Organized Resources Mini Course! Sign up below to be informed when it’s available! Out of all the blogging resources, I’d recommend Dare to Conquer the most. Are there any best blogging resources you’d recommend to grab for 2019? Leave them in the comments below! Ready to get your Blog Organized?